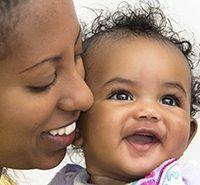 “PIWI” (“Parents Interacting with Infants”) is an early intervention model based on the premise that early development occurs within the context of the family and primary attachment relationships; consequently, the most important environment for early learning and development is the parent-child relationship. The PIWI model was developed in the mid-1980s by interdisciplinary faculty at the University of Illinois at Urbana-Champaign, with the intent of more adequately preparing students for their future roles in the newly emerging field of birth to three early intervention. Initially, the PIWI model was used as a framework for the development of a unique birth-to-three practicum experience in which parents and young children (with and without disabilities) participated in weekly playgroups. During the past 20 years, support for this PIWI-based playgroup practicum has been provided by federal personnel preparation grants as part of an early childhood special education master’s degree program, as well as federal grants to develop training materials for faculty and to evaluate the application of the model to applied settings. 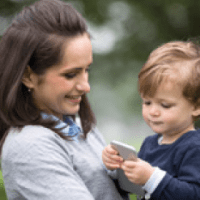 PIWI has been used as a model for using parent-child playgroups and related home visits across a wide variety of programs serving an array of families. These materials provide the rationale that supports the PIWI model, including the manner in which the model translates research into specific practices. The PIWI model is primarily a philosophy and process, and its primary purpose is to facilitate an optimal environment for learning and development through three key components for young children and their primary caregivers: competence, confidence and mutual enjoyment. These materials provide information about the philosophy as a foundation for the remaining components (“building blocks”), as well as implementation checklists for achieving fidelity to the PIWI model. The dyadic interaction strategies are used by adults to achieve characteristics of responsive interaction as the adult interacts with a child. The triadic strategies are those that early interventionists can use to facilitate dyadic interactions between parent and child. These materials show how a specific aspect of children’s development is used to organize session planning that supports parents’ observations and understanding of their children’s development. These materials illustrate how to plan a PIWI-guided playgroup or home visit, and how to address individual children’s intervention goals within a playgroup setting.